I walked in late for a lunch with a friend--a start-up CEO--who was already sitting at the table, wearing an office-friendly blue blazer over a silk blue blouse. We ate, talked, laughed, and paid the bill. Then she stood up and, to my surprise, she was wearing graphic print shorts and wedges, making for an outfit that was all business on top and party on the bottom. Nice! 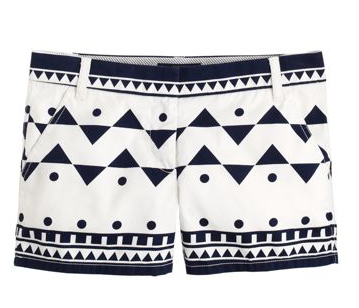 With this as my inspiration, I'm feeling these shorts, which though a little bit more beach-friendly, are equally cool and statement-making. Yes love! Everything about this screams yummy summer to me! These shorts are amazing. I wish I wasn't so self-conscious about my thighs. ooh these will have to come home with me. Oh the shorts are gorgeous, I wish I had the confidence to wear them! 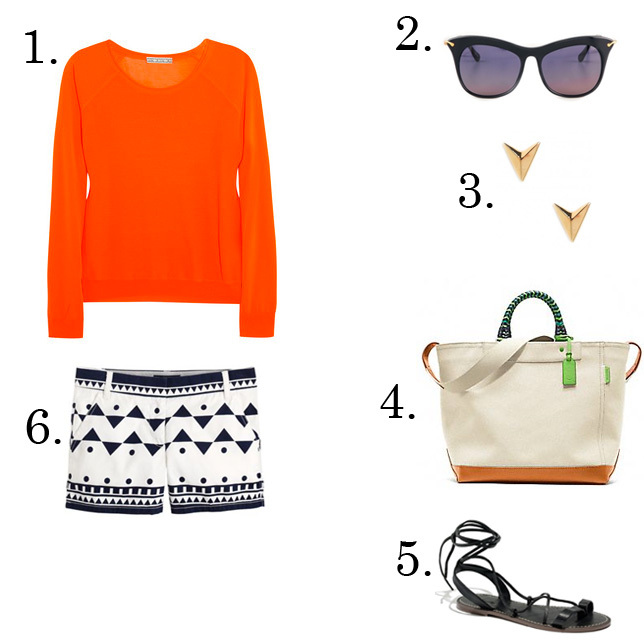 I think shorts are really the one item that you need to be 100% confident with your body to wear. It's funny they are pretty much the only item I don't wear! Jeans,skirts, dresses no problem but shorts no way!